Hosted by Dilmun Hill Student Organic Farm, Cornell University, Ithaca, N.Y. 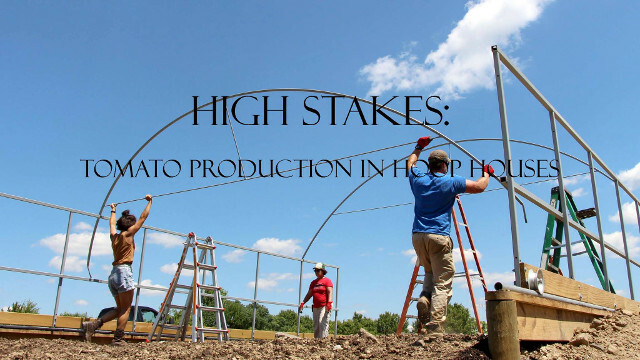 Extending the New York growing season with unheated greenhouses (also called high tunnels or hoop houses) is a growing technology with organic vegetable farmers. At this workshop led by one of Cornell Cooperative Extension’s vegetable specialists, we will discuss the production of tomatoes in high tunnels, strategies to manage soil and plant nutrient levels, tomato disease management, and other topics in Dilmun Hill’s new moveable high tunnel. All knowledge and experience levels are welcome.